Who Makes The Better Blender? Which of these three great blenders is the best? They are all blenders that perform well enough to grace your counter-top, but which blender will suit all your needs in the kitchen, plus be in your price range? Most models of these brands have increased their power so they can stand up to whatever you put in the jars. Their overall look is also a deciding factor when purchasing a blender. You can definitely find a blender to match your kitchen decor. Of course, you must not stick to the appearance of the unit as the main element in helping you choose the right machine. The competition amongst these blenders is tight. 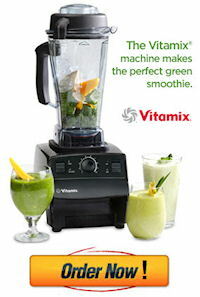 Both Blendtec and Vitamix are top-of-the line machines but they belong to a high-price range. Ninja, on the other hand, can help you save a few hundred dollars. 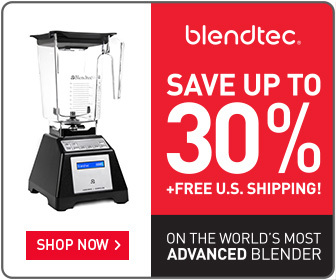 Blendtec is in the same high-end category as Vita-mix. That said, you anticipate paying more when you choose it over Ninja. The company offers 12 different models of blending machines with each offering a cool design for those modern kitchens. In terms of power, they offer the most horsepower ranging from 3.0 to 3.8 peak HP, depending on the model. The Designer 625 offers the most color options with 7 choices. But the Classic 575 is just behind them with 6 color options. Do they offer a professional blender? Indeed! 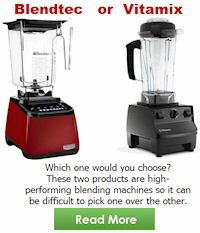 You can pick from their Professional 750, Professional 800, or the Tom Dickson Extreme Blender which sells for over $1,000 plus. Since their beginning, this company has always delivered top-quality performance. With recent introductions, Vita-mix offers 20 different models of blending machines for 2017. Don’t be surprised at the price tags of these high end, commercial grade blenders. The costs range from $399 on the Turbo Blend Two Speed, up to $689 on their Professional Series 750 model. If you want to use the same blender you see on The Food Network Channel, used by many chefs and restaurant owners, this is the one to have! s30 and s55 personal blenders. If you’re into fitness and feel the need to bring your own nutritious drink to the gym, the S-Series will satisfy this need. Find yourself needing ways to encourage your kids to start eating healthier? Having 22 different options in the C-Series category, you can be sure to find a blender to make the healthiest meals in record times, that your family will love. The most popular in this group (C-Series) include: 5200 Super, 5200 Deluxe, Professional Series 200, 500, CIA Professional Series, 5300, Creations GC with compact container, and the Certified Reconditioned Standard. But, if you want a blender that gives you professional results, the Next Generation or G-Series Blenders is the Top-Choice for many families. What’s unique is the 2.2 horsepower motors, guaranteed to mix the toughest ingredients without missing a beat. These super powerful motors are even quieter than their standard 2 peak HP motor. If the price tag is too steep for these professional blenders, but your heart is set on the G-Series Professional Blender, you can always opt for the Certified Next Generation or the Certified Next Generation Programs at a much more reasonable price. Although you may find an assortment of models on Amazon, we decided to look at the 3 best sellers for 2017. These units fall into the mid-range category and can cost around $139 to $320 on Amazon. Each machine has its own unique qualities for blending. 1) Starting with their 1000 watt motor, the basic Nutri Ninja unit comes with 2 auto and 1+ pulse setting. With the Auto-iQ settings, matched with the Pro Extractor blades you can guarantee maximum nutrition. 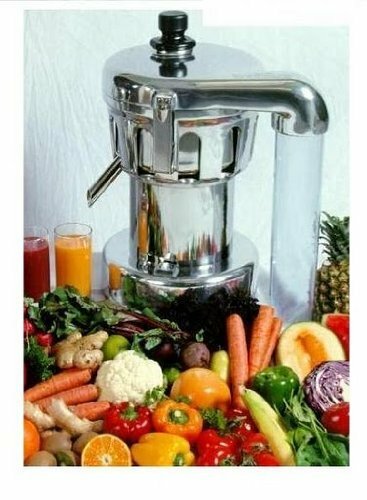 It’s very easy to use and takes away the guessing when it comes to making a vitamin packed drink with just a press of a button. Looking at the reviews on Amazon, the 5 star ratings are pretty impressive! 2) The Blender Duo with Auto-iQ is hitting it off as their middle run blender for 2017. Ranging between 1300 and 1500 watts of power, with 5 auto program settings and 3 manual speed settings, these units make crushing ice an ease. With the Total Crushing Blades, your friends are going to be amazed when they see and taste their favorite fruit smoothie on those hot summer days. 3) Want the most options with your blender? Look no further with the Blender System with Auto-iQ. As with many today, there’s nothing like having all the pieces together, in one unit, to make every assortment imaginable of drinks, meals, dough, and frozen desserts right in your very own kitchen. We found this blender reasonably priced on Amazon. Conclusion: Which of these three offers the best value? It really boils down to price and suitability for what you need. They all offer wide base for steadiness. Each blender runs in a high-powered motor (although they vary). As regards to the price, Ninja is definitely the most affordable. If you’re leaning towards a Blendtec or Vitamix, but the high-priced tag is holding you back, remember, you can always purchase the Certified Refurbished Vita-mix or a Certified Refurbished Blendtec and save significantly! Your best bet to finding the right blender among the three choices means asking the questions: ‘What do I need it for?’ Is it for making smoothies? Grinding coffee beans? Are you going to use it every day? Is warranty more important to you? Do you want a powerful machine that can blend tough ingredients within seconds? Helpful tip: List your blending needs before you decide which brand to go for. 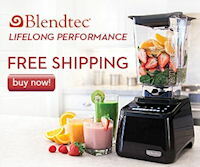 No matter which blender you decide on, you will get the Best Deal through the Green Smoothie Blenders.com site.